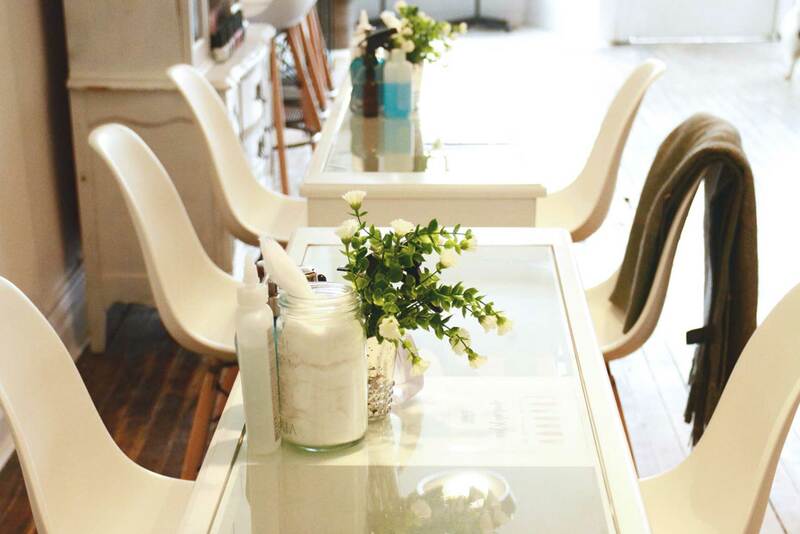 BSIDE Beauty brings you a one-stop beauty shop full of exceptional services in an inspiring atmosphere. Designed with stylish furniture and chic décor to complement exposed brick, BSIDE is a tasteful addition to Leslieville. Our mission is to make life more beautiful. Let’s celebrate together. 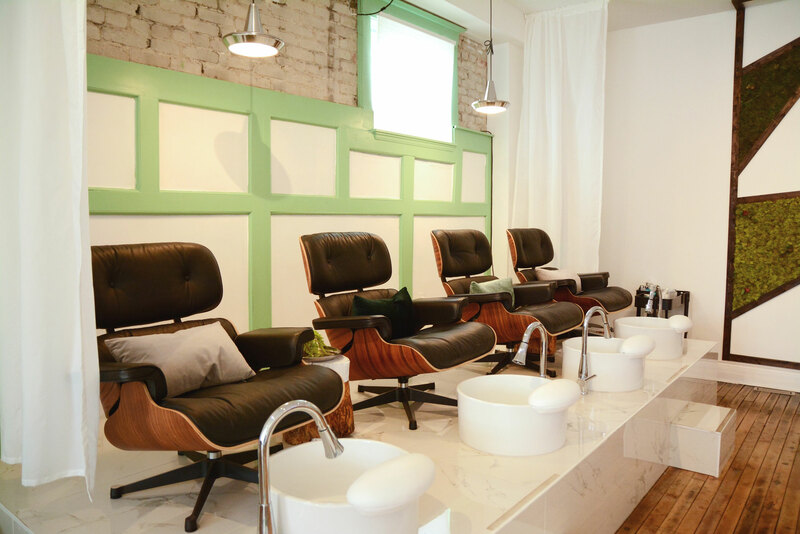 BSIDE Beauty offers an array of services for all your beauty needs. 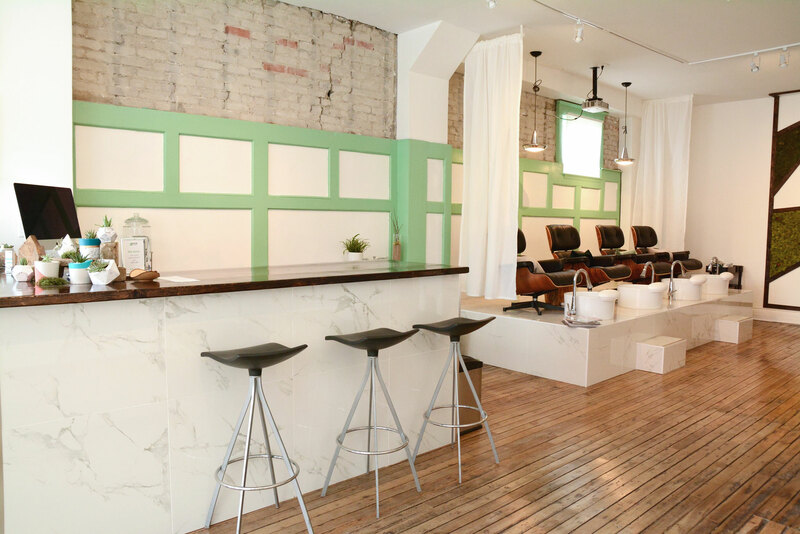 We offer manicures, pedicures, makeup application, lash extensions, threading and full wax services – plus a bar menu you’ll love. If you’re looking for a blowout to complete your look, our sister boutique will blow you away. JustB Salon specializes in colours, cuts and styles, and is conveniently located right next door. We offer special packages for groups of 3 or more looking to enjoy themselves and get pampered. You can complete your package for one or two services with catering, makeup and a blow dry. For those special brides-to-be, our boutique can be your go-to spot to get ready with your friends and family. Whether you and your party want to come in before the big day, or join us for your bachelorette, we can customize any event to your personal needs. We want you to leave all your worries at the door and enjoy a memorable experience. 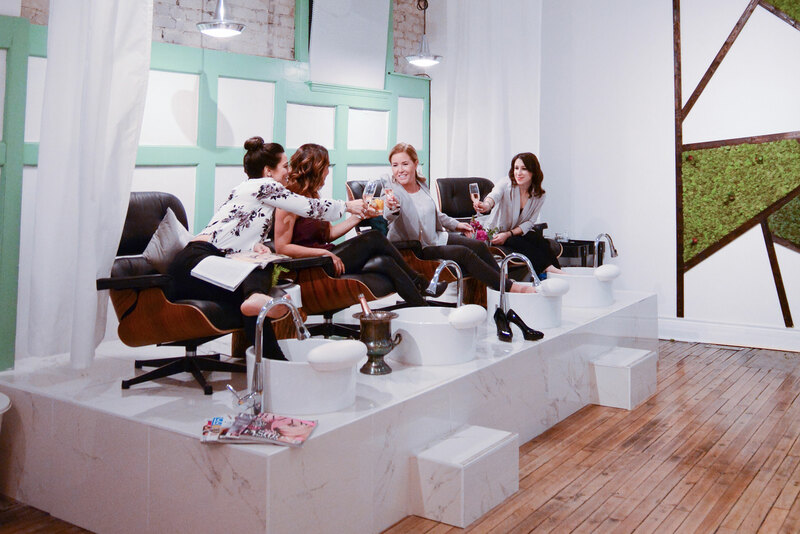 If you are looking for a venue to host your next event, BSIDE Beauty is the perfect find. Our boutique offers a unique approach to product launch events, corporate functions, networking events and any opportunity to celebrate together. Your event can be customized to fit your needs with décor, DJ, catering and more. 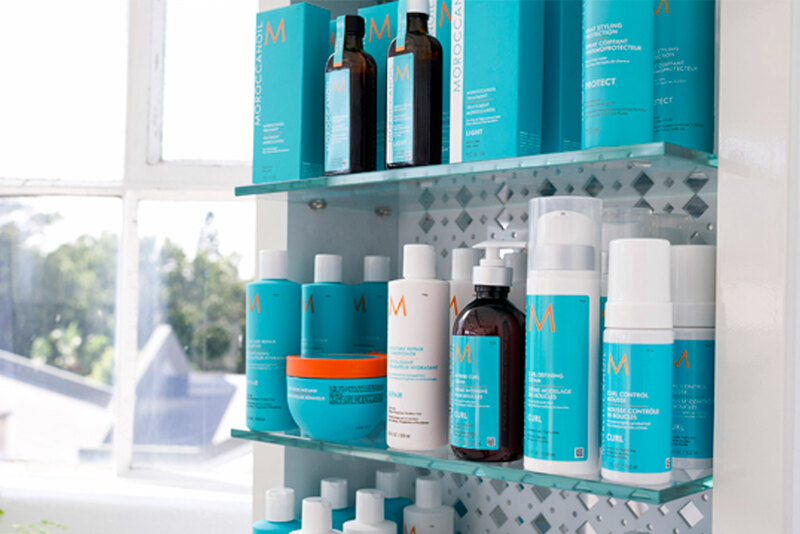 BSIDE is one of the few exclusive retailers of Moroccanoil BodyTM in Toronto carrying all your essential skin care products for irresistibly beautiful skin, with fragrances that evoke a sensorial experience inspired by the Mediterranean. We use the Moroccanoil Body Soufflé Fragrance Originale in our signature manicure and pedicure. At our boutique, you will also find unique and locally sourced handmade jewelry, paper goods, home décor gems, gifts and accessories. There is something for everyone.